The event will kick start with Ganga aarti and will end with the visit of delegates to Kumbh Mela in Prayagraj and Republic Day celebrations in New Delhi. 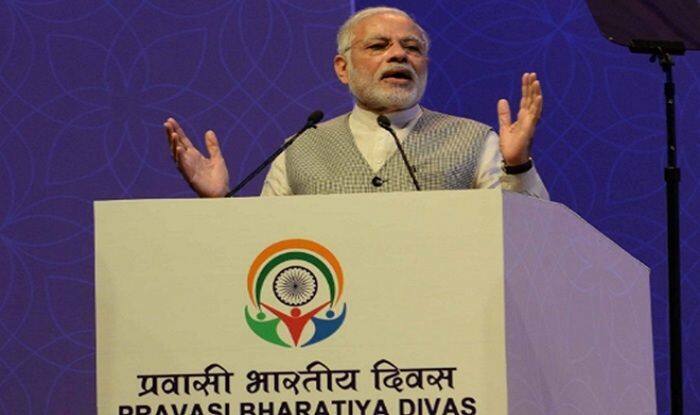 New Delhi: The much-awaited three-day 15th Pravasi Bharatiya Diwas is set to begin from Monday in Varanasi. Over 5,000 NRIs have registered for the 3-day program. India-origin lawmakers; Himanshu Gulati of Norway and Kanwaljit Bakshi from New Zealand will be the guests of honour at the inaugural ceremony. The theme of the three-day event, which is being organised in Prime Minister Narendra Modi’s parliamentary constituency, is — ‘Role of Indian Diaspora in building a New India’. Prime Minister Narendra Modi and President Ram Nath Kovind are also expected to attend the event, which will kick start with Ganga aarti and will end with the visit of delegates to Kumbh Mela in Prayagraj and Republic Day celebrations in New Delhi. “We have made all arrangements for foreign delegate to watch the Ganga aarti. Some may see it on ghats while others can watch it from cruise and bajra (big boat),” a senior official told reporters. Visitors, who had got themselves registered online through the MEA website, were asked for their preference for stay and a large number of them have opted for personalised hospitality of ‘Kashi-vasis’, reports said. The guests will get home-cooked food and homely ambience to relish it. Besides, they will also be able to witness the daily chores of a typical day in Varanasi. After attending the Pravasi Divas, the guests will be taken to Prayagraj for Kumbh on January 24. A cultural village has also been developed in Prayagraj to showcase our heritage starting from the Indus Valley Civilisation. The ‘pravasis’ will be taken to New Delhi on the night of January 24. They will also witness the Republic Day parade on January 26. Earlier on Sunday, Mauritius Prime Minister Pravind Jugnauth arrived in New Delhi on over a week-long visit during which he will hold talks with the top Indian leadership and attend the Pravasi Bharatiya Divas. He will attend the inaugural session of the Pravasi Bharatiya Divas on Tuesday, along with Prime Minister Narendra Modi. The two leaders will also meet on the sidelines of the event that day. During the visit, he will also call on President Ram Nath Kovind. Jugnauth will also visit Prayagraj for the Kumbh Mela and then Maharashtra before heading home on January 28 morning.